Add a touch of sparkle to her life! 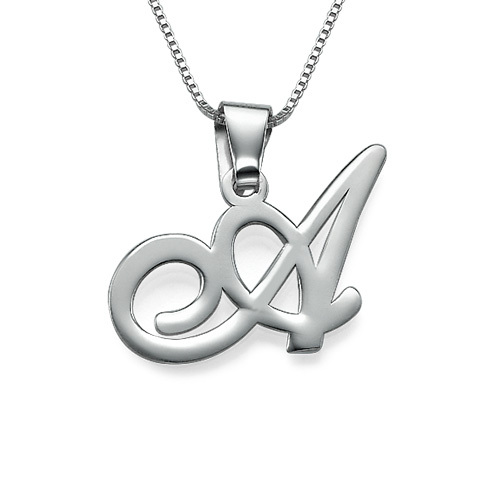 Our Name Necklace in Silver with One Birthstone offers just a little something special. Easy to customize, this lovely take on the classic personalised name necklace features a name or inspiring word rendered in beautiful, flowing script. Made with sterling silver, it includes a single birthstone surrounded by a matching frame, prettily suspended in the silver rolo chain that keeps the name pendant in position. Like many custom necklaces from our collection, this one comes in a variety of finishes including your choice of 18ct gold plating and 18ct rose gold plating. So pretty! Lovely necklace. Great quality. Bought for my daughter. Love the birth stone.